The news is awash in the shootings of police officers and unarmed black men, and individuals opening fire in nightclubs and public party events. 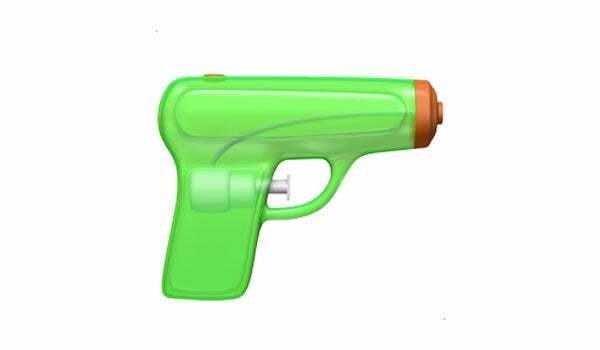 In an effort to stop promoting gun violence, Apple is replacing its gun emoji with a friendlier-looking water pistol. In place of the old black and silver revolver is a bright green and orange water gun that looks very distinctly like a harmless toy. Apple also led the decision to remove a rifle from a list of potential additions to the emoji library on all platforms, including Android. Unicode, the organization that handles the character standard, listened to the company's request and Microsoft agreed with this decision as well. Apple has an additional one hundred new and redesigned emoji that will be available to iPhone and iPad users this Fall with iOS 10. These new emoji show women playing more sports and performing jobs that, before this update, only had male options. A few examples are a woman riding a mountain bike, lifting weights and playing basketball. There will also be redesigns of popular emoji, a new rainbow flag and more family options. This is in an effort to bring more gender and race options to existing characters, and Google's leading the charge. Apple, Unicode, Google and other companies have the power to promote change, and making important tweaks to a popular way people communicate on their phones is one way to do it.